The crypto is still considered to be more suitable for business. However, there are more people willing to use cryptocurrencies for everyday payments. p2pb2b is pleased to enlist a coin that can change the approach of using crypto. 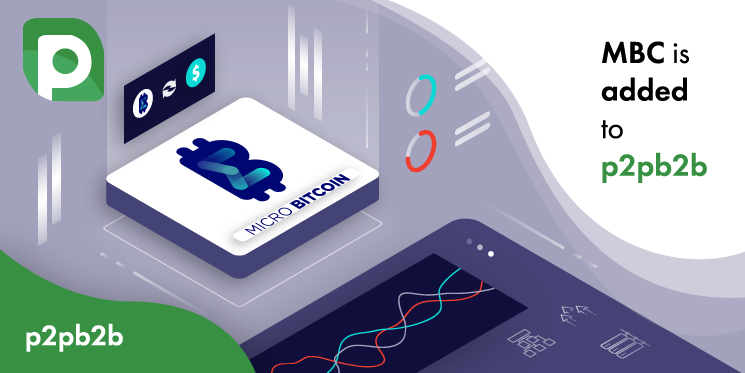 MicroBitcoin is a coin designed to introduce cryptocurrency into the world of micropayments and make it easy to use crypto in our everyday lives. The coin uses a hybrid Scrypt algorithm PoW/PoS. It allows to carry out transactions up to 25 times faster than Bitcoin. MBC is a part of a p2p decentralized network that more than ever harmonize with our trading platform. The coin is available on p2pb2b. Start trading it now! Previous Post Win $100 for the Best Meme!